Quality Grafton Area Dentistry for Your Family? You make important decisions for your family every day and selecting a qualified family dentist is a priority. Grafton area dentistry with DR. VOCI, DR.ENNIS, DR. KALRA, DR. DHANANJAYA, DR. SHAINHOUSE is your choice to help your family get and maintain healthy teeth and happy smiles. Our experienced and friendly team of professionals at Lincoln Dental want to change the way you feel about going to the dentist. We are dedicated to making dental visits comfortable and satisfying for family members of all ages. Our dedicated staff is truly committed to providing the best care for your teeth. That's what we're here for - to provide personalized care in your neighborhood. We offer a range of dental treatment options, from a routine cleaning to more complex dental care. And it's all done in a friendly, relaxed environment. 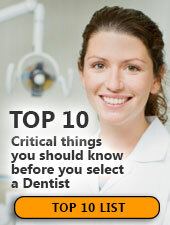 Everyone at Lincoln Dental willl be pleased to answer questions about more than just the basics. We're highly skilled in popular cosmetic services such as tooth whitening or veneers and can help you determine which method will provide you with the best results possible. There's never been a better time to turn your smile up a notch! We're here to provide the gentle family dentistry you've been looking for. Fill out the form here on our website, or call us today at (508) 754-5891. Our friendly staff will be happy to schedule an appointment where you can learn about all of your options. For comfortable dental hygiene treatment in the Grafton, Massachusetts area, Dr. Frank Voci is known for having a gentle touch. The friendly team at Lincoln Dental provides teeth cleaning for a whiter smile. If you're looking for a highly-trained family dentist in worcester County you've come to the right place. Dr. Voci offers family dentistry that worcester County residents depend on for the highest quality dental care. The real culprit in carbonated soft drinks, however, is the fizz itself: carbonic acid. A sugary, un-carbonated drink like Kool-Aid is actually easier on teeth than, say, Diet Pepsi. So watch your consumption of soft drinks and be sure to contact Lincoln Dental at (508) 754-5891 to schedule a dental checkup. These benefits, often part of your employer's insurance program, are typically lost if not used. Please do not wait for the end of the year to take advantage of your dental insurance benefits, when our congested schedule at Lincoln Dental may make it difficult to accommodate you at a convenient time for your own schedule. Call today at (508) 754-5891 to ensure your best health - particularly if you're due for your regular check-up and cleaning! At Lincoln Dental we recommend that you rinse your mouth with water after consuming any of these stain causing food, or use a straw to sip sodas and iced tea. 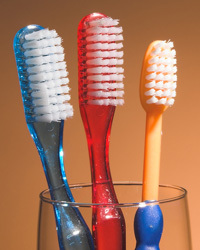 Please call us at (508) 754-5891 if you have any questions about foods and your dental health.